JAMES RIVER, NS (October 9, 2018) – Management for Riverside International Speedway (RIS) are pleased to announce July 20 as the date for the 2019 IWK 250 presented by Steve Lewis. This announcement is made several months in advance as, each year, more and more fans and racers circle the IWK 250 on their calendars as a “must do” event. For the 13th consecutive year, the IWK 250 will be presented by Sydney businessman Steve Lewis as part of his support of the IWK Foundation, for which the IWK 250 has raised awareness and over $450,000.00. 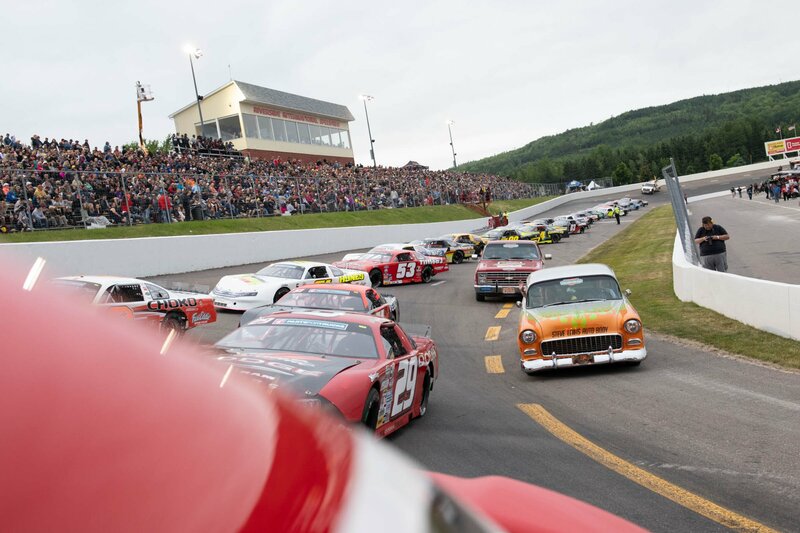 For staff, the IWK 250 date announcement is integral to planning year-long celebrations of the Speedway’s 50th anniversary season in 2019, for which the IWK 250 will be the highlight. Riverside Speedway opened in 1969 under the helm of Antigonish businessman John Chisholm. It was sold in 1989 and bought back by Mr. Chisholm late in 2005, rebuilt in 2006 and rebranded Riverside International Speedway. For 50 years, the popular 1/3-mile high-banked asphalt oval has provided generations of race fans with some of the best stock car racing entertainment in North America. Part of the reason for reaching such a milestone has been Riverside’s long-term commitment to its fans. Earlier access to IWK 250 tickets has been a popular request and so, for the first time ever, there is an IWK 250 Gift Pack available which includes tickets to the 2019 IWK 250 along with a special edition RIS 50th Anniversary t-shirt and ball cap. The package can be pre-ordered now at www.RiversideSpeedway.ca with shipping starting in November – in plenty of time for Christmas gift-giving. IWK 250 camping renewals and reservations will be available online early in the new year. 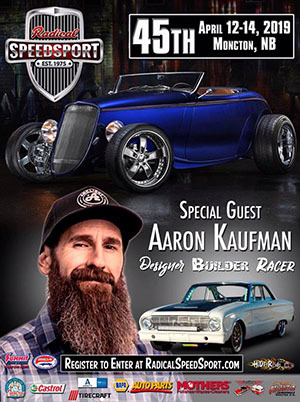 The celebrity driver announcement and more event details will be made as available. The IWK 250 presented by Steve Lewis attracts entries from the biggest names in Canadian super late model stock car racing and stars from NASCAR. In 2018, mega-personality Kenny Wallace was the celebrity driver and winner of the IWK 250, only the second celebrity in the past 13 years to see their name etched on the esteemed John W. Chisholm Memorial Cup. Other NASCAR celebrities who have been part of the IWK 250 include Aric Almirola, Marcos Ambrose, Matt Crafton, Ricky Craven, Brad Keselowski, Joey Logano, Mark Martin, Chocolate Myers, David Reutimann, Austin Theriault, and Regan Smith (winner in 2008). Except for Myers, all have competed in the event. The IWK 250 Super Race Weekend gets underway Wednesday, July 17 when the RIS campground opens, on Thursday, July 18 it’s the IWK 250 TestFest and Tailgate Party, continuing Friday, July 19 with a race card (divisions to be determined), and culminating Saturday, July 20 with the IWK 250 presented by Steve Lewis. Fans can keep up with Riverside news all year long by visiting www.RiversideSpeedway.ca, subscribing to the email newsletter, and by following social media accounts on Facebook (riversidespeedwayns) and Twitter (Riverside_NS). For 50 years, Riverside International Speedway has been recognized as a premiere stock racing facility in Canada. The 1/3-mile high-banked asphalt oval roars to action several times a year for special events. It is the home of the IWK 250 – widely known as the best stock-car race in Canada, and of the Bumper to Bumper 300 – eastern Canada’s only NASCAR event. Located in James River, between New Glasgow and Antigonish, the facility is easily accessible at exit 30 on Trans Canada Highway 104. For more information please visit www.riversidespeedway.ca or call 902-863-2410.